Fast, efficient and competitively priced motor repair and rewind services. 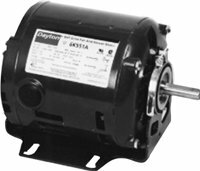 Fractional horsepower and t-frame motors and metric motors in all sizes. Compact and full featured microdrives in the market place. Easy to install and operate. Enables the drive to process and control industrial machines. State of the art design for best starting performance for induction motors, and low cost complete solution.